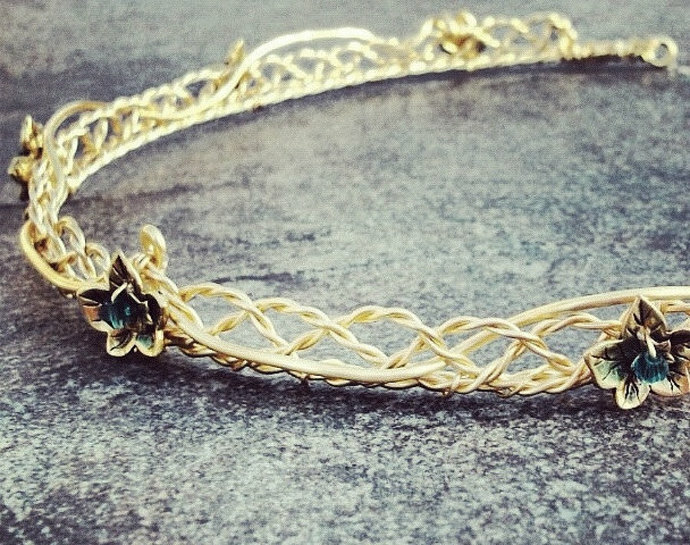 An open Celtic weave headband circlet inspired by the one Eowyn wore at Aragorn's coronation in the Lord of the Rings, Return of the King. 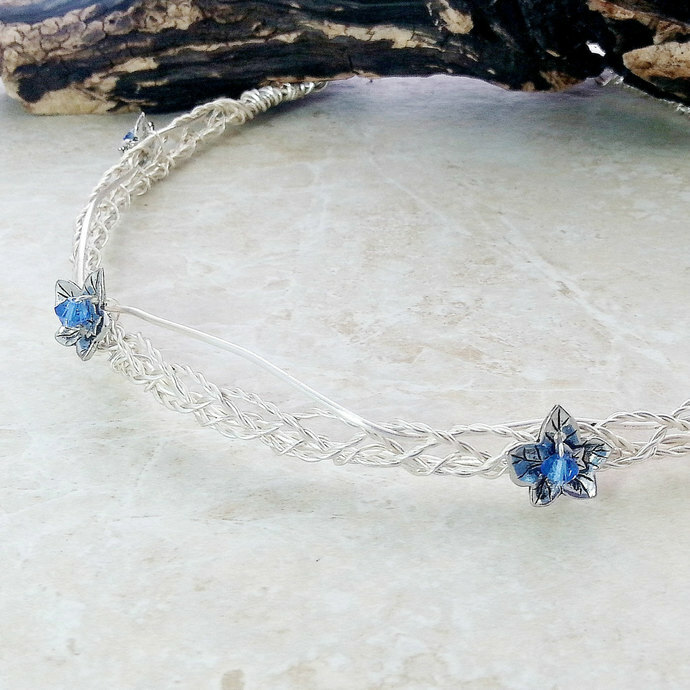 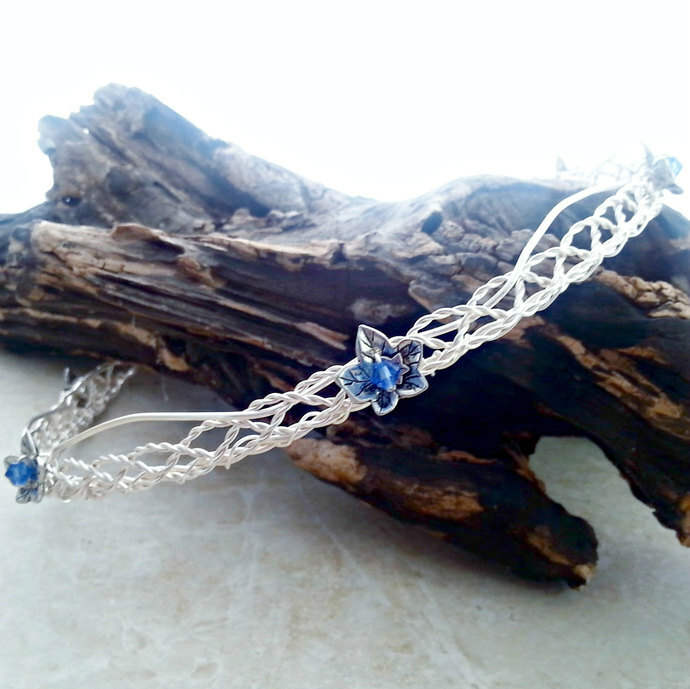 This Lady of Rohan crown is available with silver or gold wire/leaves, white pearls or your choice of several different Swarovski crystal colors. 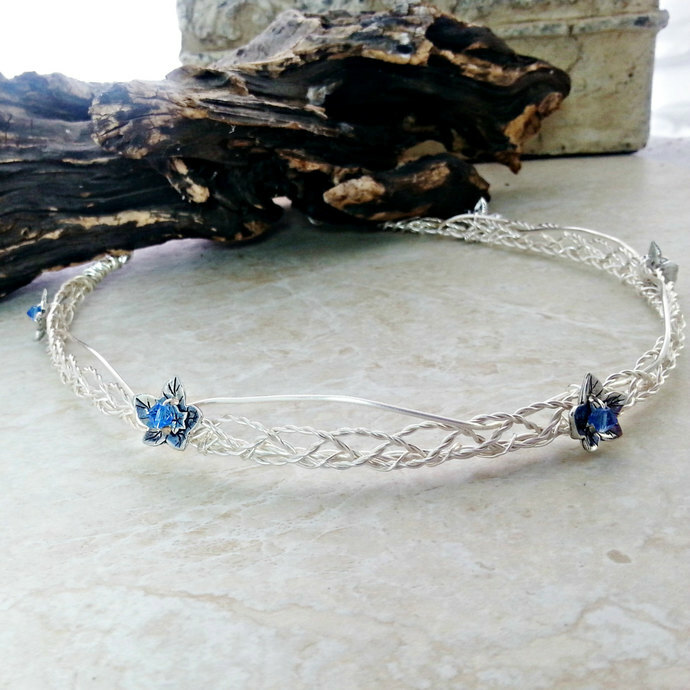 This would be lovely in a Medieval or Renaissance themed wedding or costume, and is sturdy enough to hold a veil if need be.